 Run by the Yukon Geological Survey (YGS), the facility supports geoscience research, mineral exploration and provides information to enable stewardship and sustainable development of the Territory’s energy, mineral, and land resources. The facility houses the Yukon rock sample collection and over 120,000 metres of diamond drill core and contains lapidary equipment for processing rock, drill core and surficial materials. The facility is co-located with the Forestry Research Centre, operated by Energy, Mines & Resources Forest Management Branch (FMB). Facility includes a warehouse for storing samples and equipment used for field-based geological research (limited storage capacity). Researchers can request storage. The facility includes a laboratory space for the viewing and sampling of existing rock and mineral collections including binocular and optical microscopes and an area for the processing of samples with rock saws and analysis by portable XRF methods only.